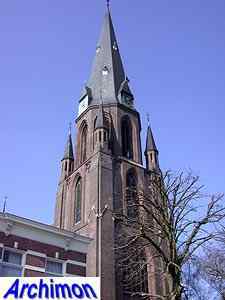 When Enschede rapidly developed into an industrial city, the only parish church St. Jacobus soon became too small for the growing population. 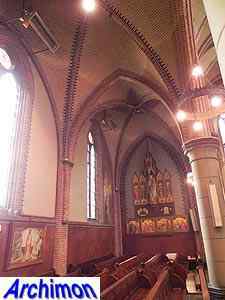 A second parish was founded in the the early 1890's, named St. Jozef after the patron of the workers. 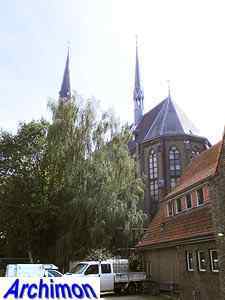 A piece of land was bought at what was then still the edge of town. 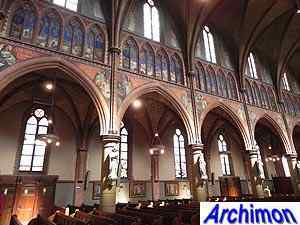 The young architect J.Th.J. 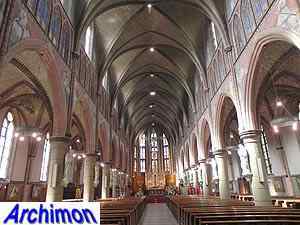 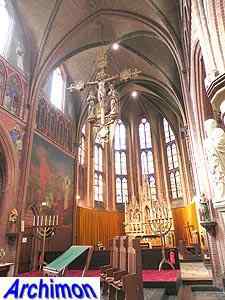 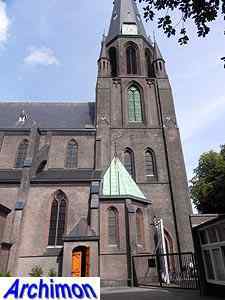 Cuypers was commissioned to design the new church, possibly because Alphons Ariëns, the priest of the new parish, was an old schoolmate. 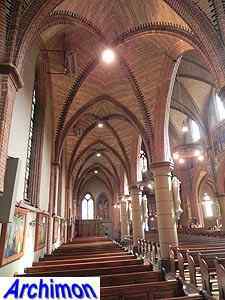 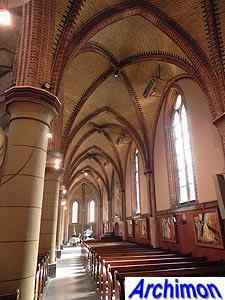 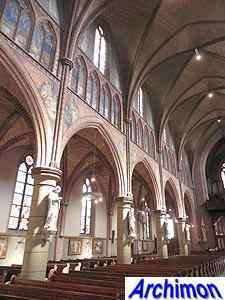 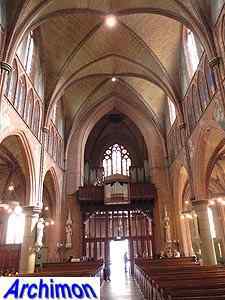 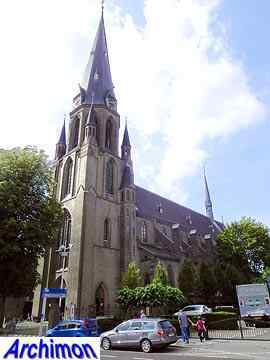 The St. Jozef is a large basilica in a neo-Gothic style that is very similar to that of P.J.H. 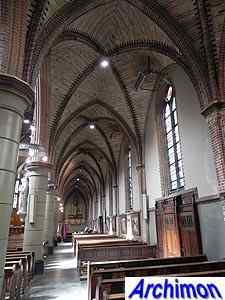 Cuypers, the father of the architect. 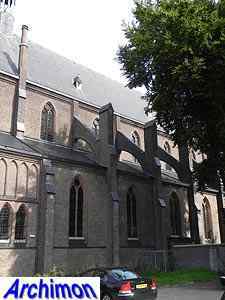 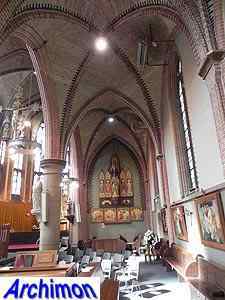 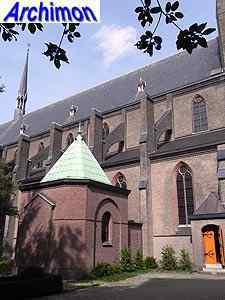 Like his father did with two of his churches, young Cuypers modeled the St. Jozef after the Broederenkerk in Zutphen.< br> The presence of flying buttresses indicates that the nave has vaults. 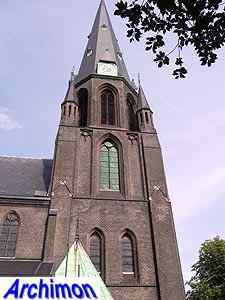 The church is not oriented and has its choir pointing towards the west while the tower is in the east, facing a road. 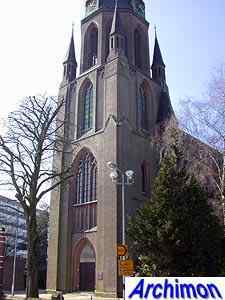 The tower was the last part of the church to be completed; in 1894, when the church was consecrated, only half of it was built. 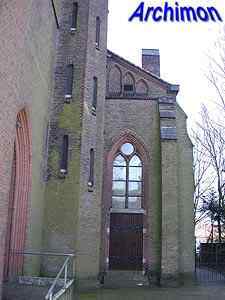 Eventually it was completed in 1895. 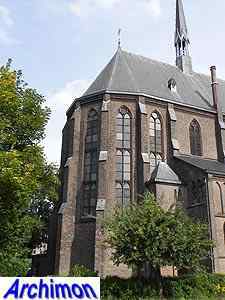 In charge of the construction of the church was Jan Stuyt, Cuypers' future companion. 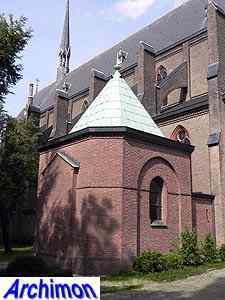 Right or not, Stuyt is often mentioned as one of the designing architects of the church. 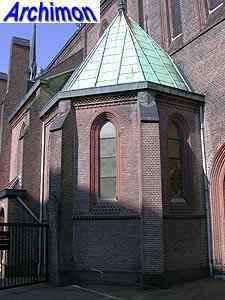 In the 1930's a pentagonal baptistry designed by J.H. 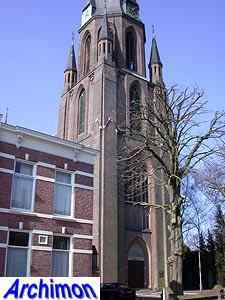 Sluijmer was added to the south side of the tower. 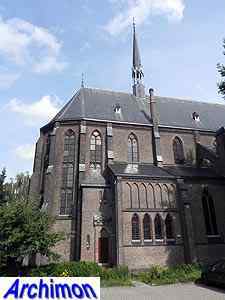 In 1945 British planes bombed Enschede, causing heavy damage to the church. 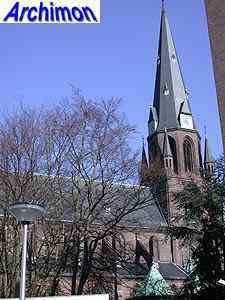 After the war the church was restored to its former state. 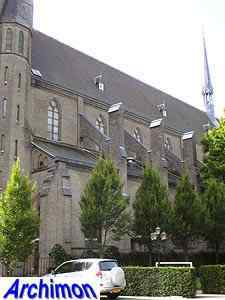 Although plans were made to demolish it in the 1970's, when the number of active catholics had dropped, these were not carried out, thanks to a foundation of friends of the church. 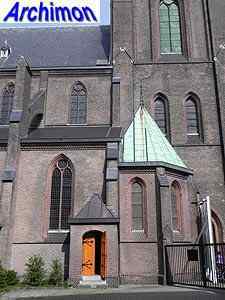 Nowadays, the St. Jozef is a protected building.